Getting started is easy. Just drop by one of our beginner classes and give historical fencing a shot. All students are welcome regardless of prior experience. Our membership dues are $40 per month, no matter how many classes you take. New members don't pay dues the first month. We also have plenty of loaner equipment for new people, so don't worry about bringing anything except exercise clothes and some water. At TSG we have two training tracks, Medieval and Renaissance. New students are welcome to drop by beginner classes for either. Our medieval track starts with Longsword. Afterwards, students study a core foundation of Liechtenauer-based weapons (longsword, messer, spear, and dagger). Our Renaissance track starts with a foundations class in common Renaissance fencing techniques. Afterwards, students choose to study either Rapier or Bolognese swordsmanship. See you there! We offer four beginner classes a year, about once a quarter. 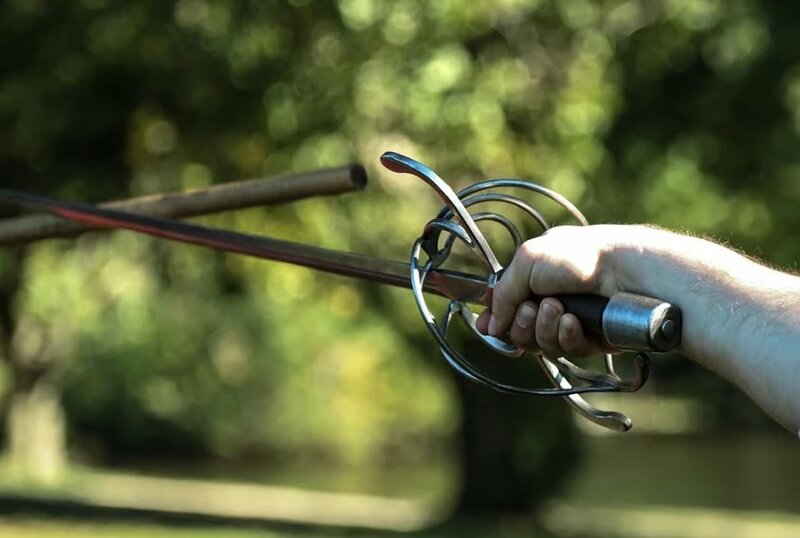 Each class is about three months long and covers fundamentals of common longsword fencing. Where: Weekday classes are at Marsh Creek Community Center (Raleigh). Weekend classes are at Apex Martial Arts Center (Apex). When: We offer beginner classes quarterly. Each class begins with an open-enrollment month. During that month, new students are welcome to come by and jump right in. In 2018, open enrollment months will be in January, April, July, and October. Our schedule is kept up-to-date on meetup.com. Renaissance beginner classes are open enrollment so drop on by any time. When: Our schedule is kept up-to-date on meetup.com. See "Renaissance Fencing - Beginner Class" classes for details. Please note: In order for members to participate we need everyone to sign a participation waiver required by our insurance. You can find them here: Waiver and Code of Conduct.